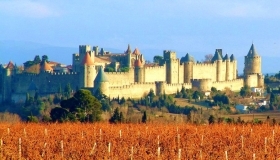 The Dotty Kitchen is a family run business based near Carcassonne in the South of France who pride ourselves on offering beautifully prepared food based on local French seasonal produce. We specialise in a range of catering to make you event, special occasion or even an informal picnic a memorable occasion. We offer food for Weddings, Special Events, Dinner Parties, Childrens Parties, Gite Catering. 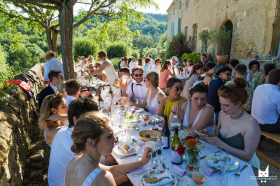 The Dotty Kitchen has been established for ten years here in France and we work alongside our trusted suppliers and professionals to make your event special and can also offer an event management package to ensure your event is a memorable one. From a large event to a childs special birthday we are here to make your experience a memorable one. Just send us a message and tell us about your requirements and we will be here to help! 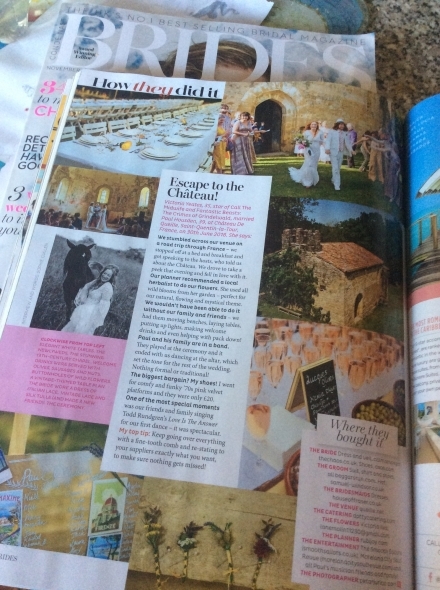 Celebrity Wedding of 'Call the Midwife' wedding of Victoria Yeates and her musician husband Paul Housden at the stunning Chateau de Queille, Mirepoix. Photos by Petra Jurica. More photos will be published on website shortly of all our amazing weddings in 2019. Please visit the weddings page for further information for 2020 bookings. Why not spoil yourselves whilst on holiday in your gite, holiday accomodation or Chateau and let us provide you with a fine dining meal freshly prepared with local and regional traditional French produce, delivered to your door - or maybe just to relax and take a beautifullly prepared picnic on the Canal du Midi, La Cite or just to enjoy the beautiful French countryside. You can prebook prior to your holiday to ensure that you have a perfectly catered meal ready for you on arrival at your accommodation just ready to enjoy in your French holiday experience.